Deborah Pittman is Professor Emeritus of clarinet and studies in American Music at CSUS Sacramento, where she taught from 1991 to 2012. 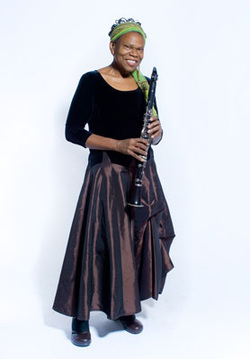 A native New Yorker, Ms. Pittman moved to Sacramento in 1981 to play second and bass clarinet with the Sacramento Symphony, a position she held from 1981-1990. After leaving the symphony, she began to explore other outlets for artistic expression. It’s like opening a Christmas gift- you never know what you might get. Sometimes it’s an out of tune note that resists focus- sometimes it’s a piece by Ravel- pure bliss. Raku is low-temperature firing process that utilizes glaze, fire and smoke to create marks on pottery, because the pots are low-fired, they are not watertight. My raku pots are fired in a kiln that uses propane as fuel and are fired between 1100 and 1500 degrees. They are then pulled, glowing hot from the kiln, and placed in a metal trashcan with newspaper or pine needles. The heat from the kiln fired pottery causes the reduction materials to catch fire. The smoke is absorbed onto the surface of the pot. Aside from the Copper Mattes and some small bud bowls, none of my other pieces contain glaze- the variety of surfaces comes from a more “Western” approach to the Japanese Tradition. Also called slip resist, is a process in which the clay piece is ultimately glazed only with smoke, hence the name “Naked” because it has no glaze. You never know what you will get! The pots are pulled from the hot kiln and placed on a banding wheel (like a lazy Susan). As soon as it has cooled a bit, individual strands of horsehair are hand placed and the resulting ash from vaporized hair creates unique and distinctive lines (the tail hair works best for darker lines). The banding wheel helps you to decorate all sides; you only have a few minutes, once the pot cools, it will not accept any more hair. The piece, after the initial bisque firing, is covered with a layer of ferric chloride and a layer of foil. The pot is then fired to 1500 degrees Fahrenheit and allowed to cool. As with the previous method, there is no glaze. The cooling rate determines if the colors are mostly purples and pinks or oranges and yellows. A complicated process that involves the application of a glaze and then the spraying of an alcohol solution, which includes serious flames around the pot as it matures. A good copper matte pot will have lots of colors, look like velvet and feel like sandpaper. These pots were created while I attended a workshop during the summer of 2010. Thanks to Don Ellis for his help. These pots are coated with colored slip (clay and water) and sodium silicate while still in the cylinder stage. The outer layer dries and the surface cracks as the pot is ballooned outward during the shaping stage. When the heated pot is placed in a reduction chamber, the inside of the cracked surfaces absorbs carbon from the burning newspaper- turning the spots between the cracks black. All of my pots are thrown on the wheel. The tripods are created without a bottom. The bottom is kept moist and the top is allowed to dry a bit. Once the top can support its own weight, the pot is inverted and the 3 feet are pulled by hand. These are the most challenging pots to make. About one out of every 5 pots makes it to completion. A method for applying intricate geometric patterns to pottery. NOTE: Raku pots are low-fired and therefore will not hold water. These pieces are artwork, and not meant to be used as vases or food containers.